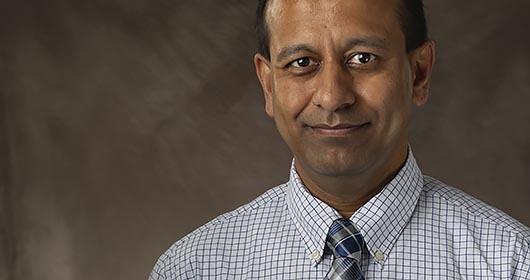 Southeast Health is pleased to welcome Devesh Dahale as director of Health System Engineering. In his role, Devesh will work collaboratively with physicians and clinical areas to improve patient outcomes while reducing variation in treatment regiments. Devesh comes to Southeast Health after spending five years at Cincinnati Children’s Hospital Medical Center in the quality improvement department. The last three years he held the role of account manager, senior quality improvement consultant, where he dedicated much of his time to collaboratively creating reliable systems of care. Prior to that, he spent seven years in leading quality and reliability engineering systems at Cummins Power Generation in Fridley, Minnesota. Devesh received his Bachelor of Science Degree in mechanical engineering from Government College of Engineering in Pune, India. He earned a Master’s Degree in industrial engineering and management from Oklahoma State University in Stillwater, Oklahoma. He completed a second Master’s degree in business management in healthcare at Indiana Wesleyan University in Marion, Indiana. A native of India, Devesh brings knowledge and experience from a variety of industries and the healthcare field by using a systems view to improve value through application of principles and methods of improvement science. Some of his most recent health outcomes improvement contributions include co-leading creation of reliable blood pressure management systems in pediatric kidney disease patients, and the nephrotoxic medication induced Acute Kidney Injury reduction program in hospitalized patients. Devesh is a certified six sigma black belt and has coached a number of clinicians, managers, and executives in the use of Quality Improvement methods to improve processes and outcomes. Devesh and his wife Sheri have two teenage boys – Roshan and Rajan, who have an active and enthusiastic attitude toward academics and sports alike. Devesh enjoys reading books written by inspiring clinicians who provide an insight into caring and transforming medicine and health. He likes to test and apply his learning into practice whenever possible. Devesh’s hobbies are writing and working out. Most of all, he enjoys life’s simple and rewarding pleasures of being a husband, dad and son.